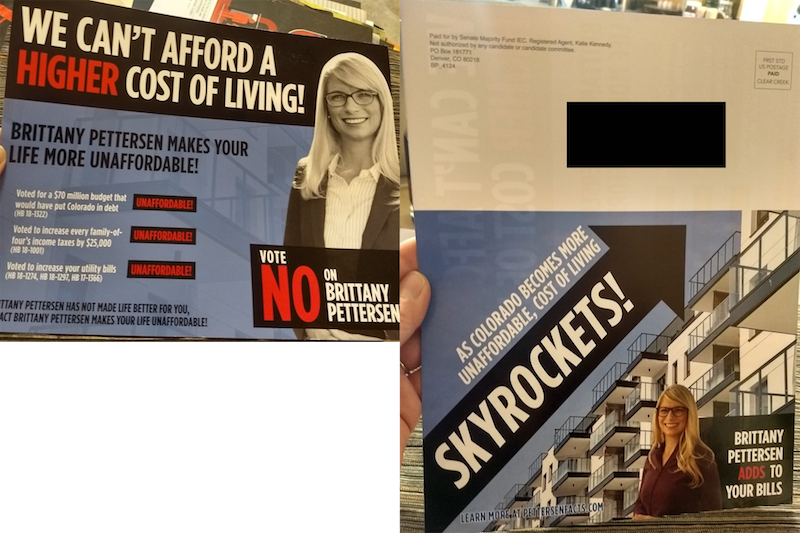 This mailer from the Colorado Republican Committee's super PAC says state Rep. Brittany Pettersen makes people's lives unaffordable. She faces Republican Tony Sanchez in an open Senate seat in southern Jefferson County. Her vote for the state budget, which passed the House 46-17 and the Senate 35-0. The mailer says the budget put the state in debt, which is not accurate. Her vote for a measure to improve family leave by charging an insurance premium of less than 1 percent of wages for all employees in Colorado. Because the program would have been considered an enterprise under state law, it wouldn't have qualified as a tax; higher taxes requirevoter approval. The program would not have cost a family $25,000 a year, but might cost that much over, say, 25 years. A fiscal analysis suggested the highest cost would be $990 for someone earning $100,000 a year. The bill died in the Senate. Her votes bills concerning reducing emmissions to address climate chage. It isn't clear whether any of the measures would have increased utility bills. But they all died in the state Senate.